Sandoz recall of select blister packages of products in the U.S. due to packaging requirements for child resistance. Corrective action on packaging required. At Sandoz, we take our responsibility for consumer safety very seriously. The U.S. Consumer Product Safety Commission (CPSC) and Food and Drug Administration (FDA) have been notified that the blister packs for products listed below are not compliant for consumer home use. As a result, we are voluntarily recalling and implementing corrective action for these selected blister packs. This action is only necessary because the blister packs are not child-resistant. There are no quality or safety issues with the medicines for their intended use. Patients should continue taking their medicine as directed by their physician, secure the affected blister packs so that they are out of the sight and reach of children, and contact Sandoz at 1-888-NOW NOVA or 1-888-669-6682 for instructions. Products in bottles are NOT impacted by this recall. To learn more about the Novartis products affected by this recall and requiring corrective action, please click here to be re-directed to the Novartis website. All blister pack configurations (listed below) that are identified as not child-resistant and potentially dispensed for in-home use require corrective action. To secure medicines in blister packs in the homes of consumers, Sandoz will provide child-resistant re-sealable pouches to store your medication. Consumers should immediately secure your blister packs out of the sight and reach of children, and contact us at 888-NOW-NOVA or 888-669-6682 to request your pouch. Here are some easy instructions on how to use your child-resistant, re-sealable pouch. 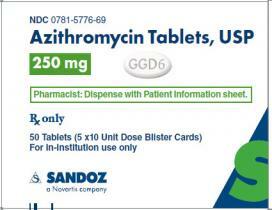 Azithromycin: 250mg tablets in 50 count unit dose blister packages. 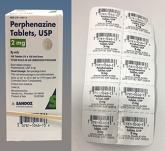 This recall does NOT include Azithromycin 250 mg 6 tablet or 500 mg 3 tablet blister packages, or any product dispensed by pharmacists in bottles. 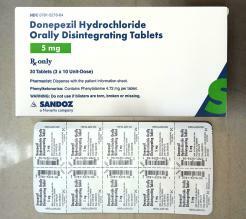 Donepezil ODT: 5 mg and 10 mg in 30 count hospital unit dose blister packages. Haloperidol: 0.5mg, 1mg, 2mg, 5mg and 10mg in 100 count hospital unit dose blister packages. This recall does not include any product dispensed by pharmacists in bottles. Imipramine: 25mg and 50mg in 100 count hospital unit dose blister packages. Isosorbide Dinitrate (ISDN): 10mg and 20mg in 100 count hospital unit dose blister packages. 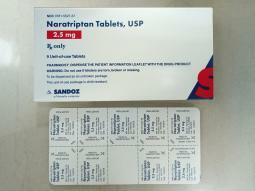 Naratriptan Tablets: 2.5 mg in 9 count hospital unit dose blister packages. Ondansetron ODT: 4mg and 8mg Orally Disintegrating Tablets (ODT). 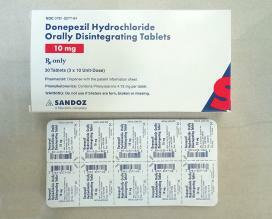 Ondansetron: 8mg tablets in blister packs of 3 tablets. 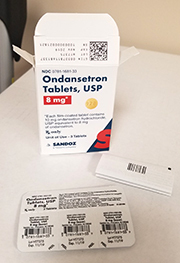 This recall does not include Ondansetron 4mg tablets in unit dose blister packs of 3 tablets or Ondansetron tablets dispensed by pharmacists in bottles. Perphenazine: 2 mg, 4 mg and 8 mg in 100 count hospital unit dose blister packages. Risperidone ODT: 0.5mg, 1mg, 2mg, 3mg and 4mg Orally Disintegrating Tablets (ODT) in 28 count blister packages. Consumers or pharmacies who have impacted blister packaged products with these NDC numbers in their homes or pharmacies should contact us at 1-888-NOW-NOVA or 1-888-669-6682.